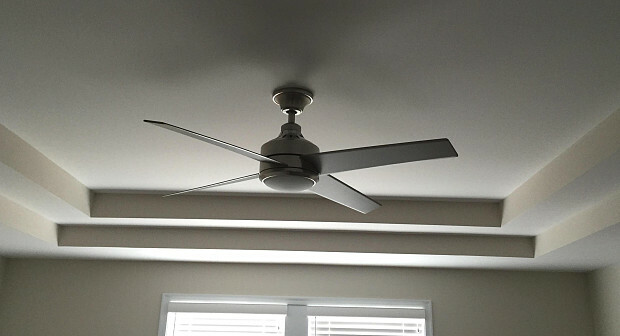 I just bought a new house, new construction, so I got ceiling fans for every bedroom. 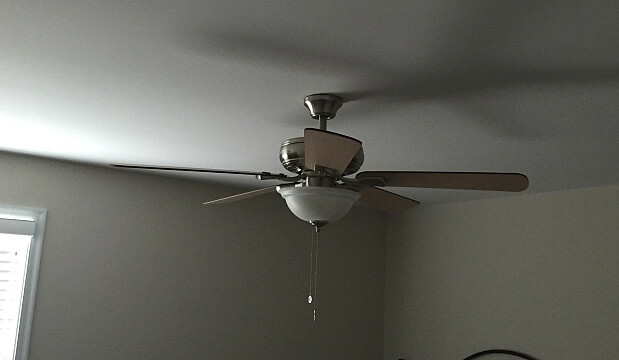 I bought the fans myself and then looked for a contractor to install them for me. When I bought them at Home Depot, they said they had someone that would contact me and give me an estimate. The guy came, but I wasn't happy with the estimate. So I did a Google search that led me to your site, where I posted the job. People got back to me right away -- I got about 4 offers in the next few minutes. Price played a part in my decision about which person to hire but that wasn't all. Other people emailed me, but the guy I ended up working with, Tony, called me directly. He was about 20 bucks more than the other guys. I could tell he wanted the job and he was able to come down right away so that made it easier for me. Also he told me about what he did and told me to go to the website. I knew he could do the job. The installation took him a couple of hours. He was good at cleanup; he left the place very clean. I had a positive experience so I'd recommend it to anybody. I'd say a contractor referral service is a great option because there are a lot of people out there that do work like this. It's nice to get quotes that quick so you can see what it costs and compare prices. Tony was way more qualified than the others so I got somebody that really knew what he was doing. He's very personable and he told me all the things he does. He works on rehabbing houses in different areas. it's nice to know that there's somebody out there who can help me if I do have any issues as a new homeowner. I'd definitely hire him for other projects. My advice is: check out Networx because there are a lot of good things that can come out of it. YUPRS Inc. Wasyl Terlecky: Tony's knowledge of all things home is fantastic. Fast Furnace Repair That Saved Me From Getting Ripped Off by Luis P.
Contracted a Large Tree Trimming Job for a Reasonable Price by Dean S.
Mixed Feelings about My Fence Replacement by Kelly B.